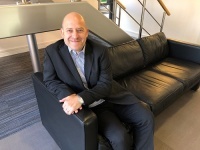 Accord national intermediary sales manager David Robinson is to join Shawbrook as sales and distribution director of its residential mortgage arm. Robinson will take on the role in August, having announced earlier this month that he would be leaving Accord, where he has worked for 14 years. 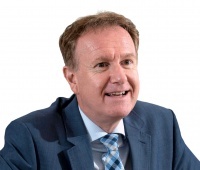 He has worked with the Yorkshire Building Society group for 29 years and is a well-known face in the mortgage industry. The news follows Shawbrook’s announcement on Monday that Paula Purdy would leave the role of head of sales at the lender’s residential mortgage arm. Shawbrook Residential Mortgages managing director Jeremy Law says: “I’m delighted to welcome someone of David’s calibre to the team. He brings a huge amount of relevant experience into the business that I am confident will add significant strategic value, not only to the sales team, but in a much wider context. Robinson says: “I am delighted to be joining Shawbrook Bank at this exciting time and playing such an important role in building and evolving its propositions and the support provided to its brokers. Jeremy and the team have ambitious and exciting plans for the business and I’m really looking forward to getting started in the new role”. How do you become an equity release adviser?